The 95th edition of the oldest European marathon will take place in 2018. This year for the organizers of Kosice Peace Marathon is also about memories and flashbacks. One of the fastest marathon courses has been created in Košice 20 years ago on that occasion it was the 1997 IAAF World Half Marathon Champioships. Tegla Loroupe and Shem Kororia were awarded from the hands of IAAF President Primo Nebiolo on October 4, 1997. That course is still fast and very attractive for both eliteand allrunners. 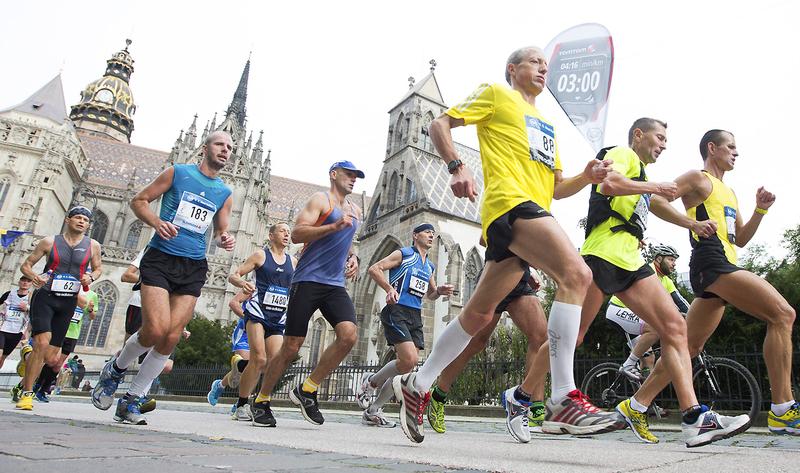 The Kosice Peace Marathon is an opportunity for every runner to take their family and friends and visit Košice, the gothic pearl of the Europe, European Capital of Culture 2013 and the Best European City of Sport 2016. Discover the place, where the fundamentals of modern marathon movement were set in 1924. Discover the unique Central European metropolis, discover Košice - the European Capital of Culture in 2013 and the second largest city in Slovakia, which has been mentioned in written references already in 1230. Surrounded by fascinating history, stories and legends, the city of Kosice lives today and looks To the future with great potential for creativity. Thanks to the European Capital of Culture project, Košice has undergone modern transformation and has gained another attractive cultural infrastructure with many interesting events for every visitor. In Košice, where, among other things, the oldest marathon in Europe is home, you can meet the largest protected monument zone in Slovakia and the oldest coat of arms awarded to the city throughout Europe. Thousands of visitors go along the historical and at the same time longest walking promenade in Slovakia, Enjoying beautiful architecture, stylish cafes and restaurants, located in the heart of the city. The special atmosphere is enhanced not only by the easternmost Gothic cathedral in Europe - Dóm sv. Elizabeth, but also the streets, passages, parks and courtyards of historic buildings in the city center that hide many interesting treasures.